When you have bad credit, the big banks won’t usually lend you money. You might have your finances under control now and know you can handle credit responsibly, but they still turn you down. Fortunately, alternatives do exist. You can get a loan, even when you have bad credit. Rebuilding your credit through a personal loan is a practical way to add positive credit history. Here are several alternatives to consider if you’re struggling to get a loan. A secured loan is a loan backed by collateral such as a car, motorhome, or a house. If you own a home with equity, lenders may offer you a low-interest loan and you can claim a tax deduction too. There’s no risk to the lender, so they usually offer very competitive rates and terms. Each lender decides their maximum loan value and sets their interest rates and terms. Even if one lender refuses credit, the next may not. A secured savings loan is another possibility. You borrow money and pay an initial fee. As you make your payments you build up equity against your account balance. This equity becomes available to use as you wish. This is particularly handy for emergencies, and it allows you to save and rebuild your credit too. Members own credit unions and they are non-profit organizations. Consequently, their fees are usually lower and they’ll often offer more wiggle room on loans. If you belong to a union or professional organization, you can probably join their credit union for a very small fee. Many credit unions cater to specific regions too. You may find a credit union in your area here. You don’t need a brick and mortar office to get a loan today. Many micro-lenders exist online and you can apply whenever and wherever you want. You can find the most trustworthy online lenders right here on Smarter Loans. You’ll need to fill out an application form and provide income information, but the process moves quickly. Most micro-lenders offer approvals within 24 hours and money in the bank quickly. They cater to people with less than perfect credit, but shop carefully. Interest rates and terms vary greatly from company to company. Most people cringe when they read this, but you can borrow from family or friends if you treat it as business. A promissory note draw up by a lawyer includes the interest rate and payment terms as well as what happens if you fail to repay the debt. The person who lends you the money can enforce the promissory note through the courts to recover their money if you default on your loan. If friends or family can’t lend you money, they may agree to co-sign for your loan. Any adult with good credit can co-sign for a loan if they trust you’re financially responsible. However, if you don’t pay, they must pay the entire loan. If you don’t pay your loan according to your agreement it negatively affects your credit file and theirs too. If you’re an entrepreneur with bad credit, some options exist to get a loan. If you’re a student, you may qualify for a startup loan through the Business Development Bank of Canada or other government agencies. Visit the nearest regional business service centre counsellor to find out more. The Community Business Development Corporations (CBDC) caters to small business owners with bad credit ratings. They favour businesses that create local jobs and you must present a business proposal. You can find an area office here. Canada now has one peer-to-peer lender for business too. Peer to peer lending (P2P) allows you to borrow money from a person instead of an institution. You post how much you want to borrow and why. Investors review your request and decide whether it meets their criteria. Your listing includes a credit check, but lenders also read what you write, so they may be more willing to lend. Bad credit doesn’t mean you can’t get a loan – it just means you need to look at the alternatives. Even buying a home with poor credit is possible! Lending is very competitive and countless products exist. 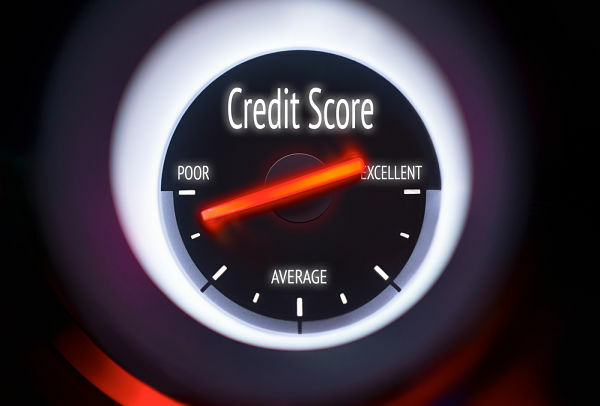 Try these suggestions and start rebuilding your credit today. Smarter Loans is an online directory listing only the best, most reputable providers of personal and business loans in Canada.